I just LOVE this card. Love the LO and the colors. Beautiful! This is beautiful! Love the colors, sparkle, and pretty bow! What a beautiful card! I love the colour combo and the glitter!! I just LOVE it, Kendra! The colors are divine ... the cornering makes the image come forth in such a distinctive fashion! Merry Christmas! These Christmas creations are simply spectacular !! I love this card...it is So Pretty!!! 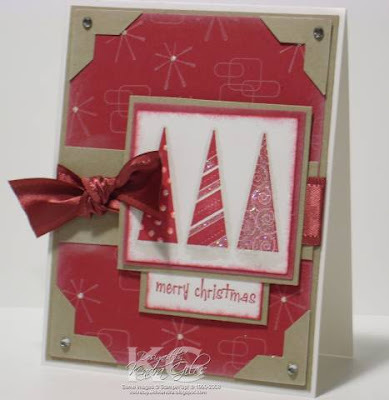 Love this card, Kendra! the colors are wonderful! I love this card! Simple yet so elegant!